How lessons and experiences can shape and grow your students' brains over time. "There are a few broad principles that we can state come out of neuroscience," says Kurt Fischer, education professor and director of the Mind, Brain, and Education Program at Harvard University. Number one? "The brain is remarkably plastic," Fischer explains. "Even in middle or old age, it's still adapting very actively to its environment." Translation: All those little brains in your classroom are physically growing and changing every time they learn something. And there are ways to keep that happening. Despite the fact that the concept of neuroplasticity is broad, vague, and hardly new (the theory was born in the mid-1800s and was heavily researched throughout the 1990s), it is one of the most reliable and fundamental discoveries about the brain that we have to date. Intelligence is not fixed, it turns out, nor planted firmly in our brains from birth. Rather, it's forming and developing throughout our lives. According to neurologist and educator Judy Willis (and suggested by a research-rich chapter in the second edition of Developmental Psychopathology, among many other publications), neuroplasticity is defined as the selective organizing of connections between neurons in our brains. This means that when people repeatedly practice an activity or access a memory, their neural networks -- groups of neurons that fire together, creating electrochemical pathways -- shape themselves according to that activity or memory. 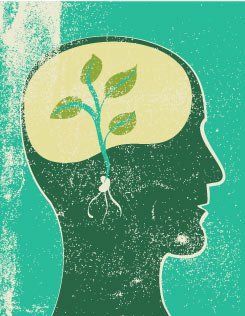 When people stop practicing new things, the brain will eventually eliminate, or "prune," the connecting cells that formed the pathways. Like in a system of freeways connecting various cities, the more cars going to certain destination, the wider the road that carries them needs to be. The fewer cars traveling that way, however, the fewer lanes are needed. Neuroscientists have been chorusing "cells that fire together, wire together" since the late 1990s, meaning that if you perform a task or recall some information that causes different neurons to fire in concert, it strengthens the connections between those cells. Over time, these connections become thick, hardy road maps that link various parts of the brain -- and stimulating one neuron in the sequence is more likely to trigger the next one to fire. Thus, says Willis, "Practice makes permanent. The more times the network is stimulated, the stronger and more efficient it becomes." It turns out that if you tell students about this, it can have an effect on their brains too. Researchers Lisa Blackwell of Columbia University, along with Kali Trzesniewski and Carol Dweck of Stanford University, published a study in the journal Child Development in 2007 that found that both morale and grade points took a leap when students understood the idea that intelligence is malleable. Not only did those students who already believed this do better in school, but when researchers actively taught the idea to a group of students, they performed significantly better than their peers in a control group. Willis also found this to be true in her middle school classroom. Her students were more motivated to study, she says, when they knew that they were all fully physically capable of building knowledge and changing their brains. Practice, practice, practice. Repeating an activity, retrieving a memory, and reviewing material in a variety of ways helps build thicker, stronger, more hard-wired connections in the brain. Put information in context. Recognizing that learning is, essentially, the formation of new or stronger neural connections, it makes sense to prioritize activities that help students tap into already-existing pathways (for instance, by integrating academic subjects or creating class projects relevant to their lives). In other words, nix the rote memorization. "Whenever new material is presented in such a way that students see relationships" between concepts, writes Willis, "they generate greater brain cell activity and achieve more successful long-term memory storage and retrieval." Let students know that this is how the brain works. Breaking through those neuro-mythological barriers that paint intelligence as predetermined may ease students' minds and encourage them to use their brains. Willis notes, "Especially for students who believe they are 'not smart,' the realization that they can literally change their brains through study and review is empowering."